PC Pitstop’s exclusive research is showing that loyalty to Windows XP is strong – despite Microsoft’s plans to end support for the popular OS. At PC Pitstop, we have been tracking each and every trend related to CPUs, memory, storage, graphics, Windows, and bandwidth. The charts are rendered dynamically so they are always up to date. We believe that our research capabilities are unparalleled in the PC industry and can complement your existing research. Please consider us for your market research needs. Press, Research Windows XP. permalink. I have a desktop with W7 and another desktop with XP and a notebook with XP. I was lost for a bit when transitioning to W7 but now I would make the choice between W7 and XP hands down for W7 and it's self adjusting troubleshooting capability and ease of use. It's like XP without any hangups and runs flawlessly in comparison. XP is the best forever.it accepts all forms of software.it has a good platform for any programmer.most computer manufacturers still include xp in their drivers for the fear of their machines not being bought. lets accept reality: the newer it may be with w8,there there is a giant OS in the making and that’s WINDOWS XP. I see no reason why XP can’t continue to be used as long as you have a tight anti virus with a stronger firewall then whats supplied with XP.Sure, you won’t get any patches any longer but the system is stable.Microsoft has ALWAYS released an OS then tried to fix it after it’s in use. They did it with Vista, Windows 7 and now Windows 8. I use my one of three desktops running XP Pro to stream my stations programming to my server. You can also just unplug the computer from the internet and continue running your XP! I have been using XP since it came out and found it to be vey reliable I would like to upgrade to Windows 8 but I am reluctant to do so not just because of the expence for the new OS but I would also have to replace most of my existing programs as they will not run on Win 8 thus costing me hundreds of £ more than the New OS & giving me little improvement for the purposes I use a computer. I will be keeping XP and taking my chances. My first computer was a TI-994a. Bought it when Texas Instruments bailed out of the home computer market. At $25 I thought I’d give it a shot. This was back in 1982 or so and computers were selling for upwards of $2000. I used this computer for several years before the internet caught hold. Remember the old bulletin boards? They were quite popular in their day. I even ran one for a few years. As the years went by I picked up various IBM compatible machines that were being thrown out. I started tinkering and pieced together my next few computers. Went from windows 3.1 to 3.5 to 95 and then my first OS purchase was 98SE on a PC with 2GB hard drive and 256K memory. I kept changing and adding parts till I ended up with windows 2000 running with 1GB memory and 80GB hard drive and my fastest processor 1GHz. I won $500 in the Lottery and decided to buy a NEW computer. 2.7 GHz 2GB ram and a 60 GB hard drive. WOW was that fast. It came with windows XP Home. I was the proud owner of a NEW eMachines computer in 2005. After 2 years of use the MB went out. I upgraded to a new MB and CPU. I now had 3.2 GHz cpu with 4GB ram with an 80GB & 500 GB hard drives. I could not re-use the XP Home but I got a good price on XP Pro. That is still working today but with a 3.6GHx cpu. My next new computer was a Dell in 2009. Went down in speed to 2.3 GHZ but was a quad core. Was fast but had the flakey windows Vista that spent more time re-booting than being used. I changed that to windows 7 as soon as I could. It wasn’t as hard to transition to 7 as much as it was for Vista. 7 has been very stable but there were problems with some of my software not working. This Past Christmas I treated my self to a New HP Pavilion with 3.2GHz quad core 12GB ram 128GB SSD, 500GB and 4 3TB hard drives. It came with windows 8 and I began to panic. It was Sooo different from anything I had used before. After stumbling around for a few weeks I sort of figured out how to use it. It is much faster than anything I’ve used before. My point on this rather lengthy story is that ANY OS other than Vista will work if you just give it a chance and try. If your system is capable of upgrading the OS to 8 it isn’t that expensive. If you shop around you can pick one up for about $60. My wife is not that lucky. She has an old IBM ThinkCenter running XP Pro that can’t even be updated to 7. She has grown attached to it and refuses to part with it. To quote her “you’d have to pry it from my cold dead hands”. She won’t even let me change Internet Explorer. @Alan M.: I forgot to mention…. My old eMachines with XP Pro is still being used daily and will continue as long as possible. I have this one game that just won’t work on anything higher than XP. I like that game!! I may however drop the Internet Explorer and go with Firefox which is very similar. if XP is no longer supported and vulnerable to attack,why would one continue to use it? I have a photo/video studio. I have one computer for internet, and three others for editing videos, photos and studio. One of the off-line computers has XP on it. It is the most stable and fast of all. Two offline computers use Vista. They work fine. I bought a computer with Windows 7 on it last year, and 7 will not run many of my applications. One application cost me $700, and the company that wrote it told me there is no update for Windows 7, but I could buy a version for Windows 7 for another $700. I went back to Vista. They’re all garbage, but XP is best, Vista is second best. All the comments are the same. Should you or should you not change. I would like to know if I have to stop e-mail contact with long time friends who cannot afford a new PC? Many are retirees like myself. If their XP Pc’s get infected won’t they spread virus’ to any contacts. Are banks, and online stores prepared for this? What will happen to the overall health of the internet with millions of unprotected PCs? I was able to purchase a Windows 7, but I still would prefer to continue using my XP PC! @michael: How long would it take to teach office staff to use Linux ? how long would it take to teach them the work-alike open systems programs ? First the IT tech has to learn all the open systems programs while still performing the normal workload. Linux is viable for individual conversion or people who never used Windows, but not for an office environment. The XP-> 7 conversion is trivial in comparison. What's this, MS should support OS's forever! I think some of the commentators on here do not live in the real world! MS is a business like any other I do not object to them making money or any other business. As for comments about using XP because it is 32bit even my 13 year old daughter laughed at this comment. Hmmmhow about running XP in a VM for the odd legacy program. It’s nice to know I’m not alone in loving my XP. I, too, have been around since Win 3.1. My transcribing and secretarial service has tons of critical 32 bit software that won’t run on 7 or 8, and clients still running WIN 98. Yes, old clients that refused to buy or learn new computers because they were retiring in a few years, so until last summer I had an old SCSI machine running WIN 98 (just fine, thank you). Had trouble navigating and organizing files in 7, so dumped 7. And forget WIN 8. I don’t want or need a social media machine. Already mad at Samsung for dumping my business Galaxy Epic 4G with slide-out keyboard, (after promising to upgrade OS) and turning the Galaxy S4 into a social media phone. I hope Microsoft sees the light and continues updates. I have had PC's since Windows 3.1, have gone through 95,98, ME and now I have XP Pro on 1 machine and XP on 2. I also have a laptop with Vista which you can have any day. I have 20 and 25 year old programs that will only work on a 32bit machine. I have embroidery software that cost $2500.00 that will only work on a 32bit machine. I will use XP as long as my PC's work, though I am going to take one off-line and use the Vista on line. @Marge Passalacqua: won’t they run on Win 7 32bit ? Some people cannot afford to go and buy another computer, or another OS. I have XP and there really isn't any reason to not support it any longer. As I said before If you bought a car that is no longer made will the dealer NOT fix it if it needs to be serviced? No .. you make a OS you should support it FOREVER. This is just a money grab is all. If I had to I would go to Win7 NOT 8. And lets hope that they don't do the same with windows 7. As I said, you make an OS you should support it indefinately. Not for as long as you feel like it. That is just bad business. @Kim Mathews: Like all software, OS’s are part of a life cycle. As newer more powerful technology is made, old OS’s become obsolete and buggy. It costs to much money to continue to support it with updates and patches. Old car models don’t cost companies money in support costs (i.e. customer calling with issues and such). I’ve been using MS8 now 8.1 since launch and have had little issues with it. If someone does have an issue, there is a OS refresh option build into the OS that any computer user can use to fix their computer without outside help and money being spent. This system refresh option should be why everyone updates to OS 8. I updated during the $40 price tag which has long passed and I’m glad I did. $40 vs. the current price was a HUGE savings. Windows 8 is no harder to use then XP or any other. In fact I think it is easier to use with it’s searching options and the refresh option that I’ve had to do just once and it was a piece of cake. Bad business ? If every customer paid a maintenance fee to MS then the effort could be cost justified. For many years MS has supported XP as part of the purchase price. How many bootleg copies of XP are installed that MS never made any money from ? Oh XP users, you make me laugh, how is XP superior, it is just a case of resistance to change. XP was good in its day but it is gone, this IS a battle you will not win. Might as well change now, come on 8.1 is not that bad, the start button is so clunky. You could move to the apple platform and start paying a premium for your computers? Hell I don’t care, I am no expert, not like half the couch experts in here! @Scotty Seton: Oh I agree, just had to use XP on an old machine and boy is it clunky! Windows 7 is much better but the Start/Folder style is just old, Windows 8.1 was a bit of stretch at first but I adapted and now I like it much better. I dont have touchscreen just a keyboard and mouse. I have months of Visual Basic programming that can be modified in XP at will . These programs can be compiled and run as exe progs in Win7 with no problem. Just for that reason I will always keep a couple of dinosaur computers that run just fine. I don’t even need the internet on these computers. I hope some third party will step up with mods that will continue its life. Once again MicroSoft is still backpeddling on their misstep with Window 8. Where is Win9 ? Compared to Vista, yes. Seriously XP needs to be dropped for Windows 7. Win7 is leaps and bounds ahead of XP in all ways. After SP2/3 XP became very reliable. The explorer is superior compared to W7/8. I do have many photo editing software which run perfect on XP, but are nearly unusable on W8. I will continue with XP. Using Sandboxie, making images frequently and a few other steps I enjoy it every day. I don’t want MS to force me to buy new hardware every time. XP remains popular with me because MS messed up with Vista(which is still not too bad) but Win 8.1 you GOT to know the wording of what you are looking for otherwise it is useless…so not “newbie” friendly at all. For us older folk who have been on since Win95, it is much easier to see the “app” by name to associate what it does. I don’t remember the exact terminology all the time so stuff cannot be accessed. I have files in there that I can search for; but once found I cannot nuke them from the search bar entry point. So they remain hidden until I “LUCK OUT” and find an access point that allows deletion. Now that is a step backwards. I got Win 8.1 but I hardly use that pc just because it is a pain in the lower back-side. @Burn: I’ve been on since DOS v3.2 I remember what a blessing it was to stick a floppy into my A:\Drive, hit the power-switch, go get myself a cup of Coffee and then, when I came back to have Windows v3.1 staring me in the face showing the file I wanted to work on staring me in the face. I don’t remember having so much fun since Microsoft pulled the DOS v6.22 platform out from Windows v3.1 and came up with Windows 91 perched solidly on thin air! I have 2 databases which do not work on 7 or 8. I need them for my businss. So………… I like XP anyway, Always have. Why should I be forced to use a program I do not like? @Jay: Jay: If you’d like to try a database that’ll fight you hammer and tongs, try the old DOS version of Ashton Tate’s dBase 5! One typo would leave any record staring you in the face FOREVER! XP is still around because it works. I would have switched to 7 but did not need a new computer during its brief availability. Then all that was available was Windows 8. Tried it, hate it. Brief availability ? Win 7 was released in 2009 and is still available today for $100 at tiger direct & many other vendors. Installing 7 on an XP machine is simple with dual boot. Downgrading 8 to 7 on a new machine takes some effort but can be done. XP works perfectly for me. All tthe software I currently need and use has no problem with XP. I’ve tried windows 7, and some of the software doesn’t run properly on it. As for windows 8, a test run says that 70% of the software i need to use will be useless. As for touch screens if i wanted one i would go get an i pad, which would be useless for me. I’ve made a complete backup of XP so I can keep on using it and can reinstall if it falls over. If it ain’t stuffed, why fix it till it is. Money, Money, Money, is the only thing that makes windows go around in circles. I am keeping Windows XP because I do have thousands of dollars in professional-grade software that will not run on Windows 8. Many of us who work for a living don’t want a computer that looks like a smart phone or has a touch screen. Microsoft should have done more market research among adults. I bet they’ve got plenty of research on how many people switched to Apple now. Shame on them. I’m a photographer/videographer, and, like you, I have expensive software that runs fine on Vista, but will not run on Windows 7. Just one of those applications will cost me $700 up upgrade to Windows 7, so when I bought a new computer, I put my EOM version of Vista on it. WINDOWS ONLY CARES ABOUT SELLING SOFTWARE.THE REST OF THEIR GEAR IS CATCHUP.I DONT LIKE TOUCHSCREENS,THERE TOYS.WE HAVE ONE AND ALL WE DO IS SEND PIX.OF NEW BABIES. Strange Title, XP users are not loyal? Should read XP users are luddites! Unless you have a compelling reason i.e. specialist software will not run on any other platform, even then i caveat with 'and not connected to the net' it means you have a very old PC or you have become old and grumpy! Unless cost is a factor you have had years to change and learn how to use Win 7 or 8 and if you are posting on here with your XP OS in the next few months you will be very lucky indeed. Oooh If I can't have XP I will go to Apple!! How ridiculous as we know it's just the same as XP….NOT! @Joseph Hood: Joeseph…..Did mommy take away your pacifier again? Please refrain from posting anything until you grow up & switch from Pampers to Depends. Just because I wish to stay with a program I find usful does NOT make me a luddite. I became interest in Computers as a teenager in 1843 YES 1943.Iam84 this year and would change if there was a reason Not just because Microsoftwishes it. nobody likes windows 8.1 windows 7 is the next XP MS was still patching XP right up to the end. MS doesn"t want 7 to hang on like XP did.. I'm ready to switch to Apple. I’ve followed your data for years. I’ve also tracked Net Applications data for years. 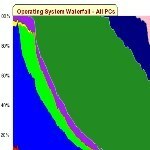 You were my inspiration for my waterfall graphs of Windows, OS X, iOS and Android. I added version adoption charts that show the same data from a different viewpoint. Windows 8 adoption has been similar to Vista, which is less than half the rate of Window 7. Adoption rate equates to steepness in the waterfall graphs. Will be glad to share, but I don’t understand the title=”” you require for an ‘a’ tag.